Britain needs to change, we need to live more sustainable lives and we need to start now. It is however about starting not stopping. As a society and as individuals we need to make small changes in our lives that collectively make a big difference. From changing the way we travel to altering the way we eat and the way we use energy and resources, making sustainable living second nature will mean that everyone can enjoy a better quality of life. This is why Greener Journeys is delighted to be taking part in Business in the Community’s Be the Start month; a fantastic initiative that is bringing sustainability to the forefront of people’s minds throughout May. Each day a partner organisation will showcase small changes we can make that will make a real difference to communities, the environment and our own lives. Our allotted time starts now and we want people to sit up, take notice and act on our One Billion Challenge,a campaign to try and cut UK car journeys by one billion each year! Greener Journeys vision is to transform our communities into cleaner, greener, less congested and more prosperous places to live and work, where public transport is a convenient and desirable choice for everyone. Be the Start and the One Billion Challenge match this vision perfectly. Trying to take one billion car journeys off the road may sound ambitious but considering there are more than 25 billion car journeys every year, it represents a very achievable reduction of 4% in real terms. Put another way, it requires car drivers to make just one fewer car journey per month. Buses play a crucial role in a more sustainable future for Britain with fewer car journeys and more bus journeys meaning a healthier, happier, greener, more productive Britain. Our research shows the simple act of taking a journey by bus can help achieve half the Government recommended 30 minutes of exercise per day and is a third less stressful than driving. 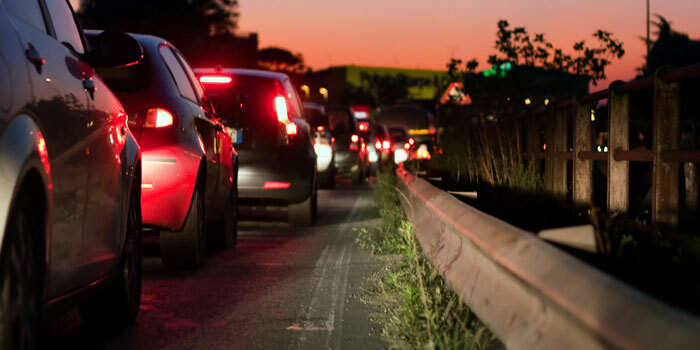 Equally achieving one billion fewer car journeys would mean a saving of 2 million tonnes of CO2, helping to ease the congestion that blights our cities and our growth in the process – the British Chambers of Commerce puts the cost of congestion at £17,350 per business. Be the Start is a great opportunity to get greater public attention of the bus’s many benefits and I hope it will encourage both car drivers and infrequent bus users to give the bus a try.